Same Difference is deeply upset by this YouGov poll question. Of course, we answered that benefit claimants should be allowed to vote. What am I thinking? I’m thinking is there any level the Conservative Party will not stoop to to try and win more votes. I’m thinking they’re a bunch of absolute cunts. I’m thinking a great deal but if I expand on all the reasons why nobody should vote for the fucked up Tories I’ll be here all day (and then some). So where should the money to money to rebuild the H O P come from if not the public purse? The building is a public building, it doesn’t belong to any particular political party, its the seat of Government and has been for hundreds of years! Of course it should come from the public purse. While your talking about lying MP’s it ain’t just the Tories who are doing it, Labour and the Scottish Nationals are just as good as are the Greens and Liberals remember the promises on education and Universities from the Liberals before they went into the b Coalition with the Tories?? And if you want to cut the costs to the public purse the biggest waste is the monies from the public purse being spent on rebuilding Buckingham Palace for the laziest bunch of scroungers ever, That’s got to be the biggest council house hasn’t it? They are never called in for Work Assessments or made to fill out sheets saying how much work they have done! They should be covered by the Bedroom Tax, and Benefit Cap or call it something else if necessary what they are getting is money from the state therefore its benefits!!! The Queen gets £13.3 Million a year from the Privy purse, basically an almost tax free income!! A bit better than UC and its not cut if you sod off to Australia to watch the cricket/rugby or whatever for six weeks never mind be two hours late signing on!!! Its the rich wot gets the pleasure its the poor wot gets the blame!!! I’m thinking we are being sounded out on whether we are ready to accept right wing authoritarian fascist regime yet or if we need more priming by the MSM and British Broadcasting CONservatives with their right wing propaganda and hate. There’s no depth to which the Tories would stoop to, to hold onto power. A power they consistently abuse. They fail abysmally to represent the nation, it’s people, due to their avarice for money and power for their own ilk, we are descending into a 3Rd world country. The Tower would be toi good for them. Email your MPs. Inundate their boxes with complaints and concerns. Get them to raise constant questions. Make sure this gets hammered down pdq. Since when did what you make or didn’t make determine whether you are a fully participating citizen?? The fact is that wages have been pretty much frozen since Thatcher, so more and more people are struggling and then you have the audacity to question whether they can vote after creating a situation that makes their lives so difficult? Rub salt in the wound why don’t you?? What kind of scum thinks this stuff up in the first place?? Lord Ashcroft of Belize no doubt thinks non-domiciled people who don’t pay any tax should get extra votes. The website address is not the YouGov UK site … I cannot find it on the real site either. What is the g4-emea bit and why is it YouGov.com? I believe this is fake. If not we need a hyperlink please. Agree Susan, something stinks here! It was emailed to me. You need to be a member to see it. What is the link to this poll, I cannot find it to vote a big fat F OFF of course they should! Cannot have a democracy with the poor being barred from voting! Thats whats commonly known as fascism! Can you give me the link to this cote as the poll says .com and the you gov website is .co.uk. 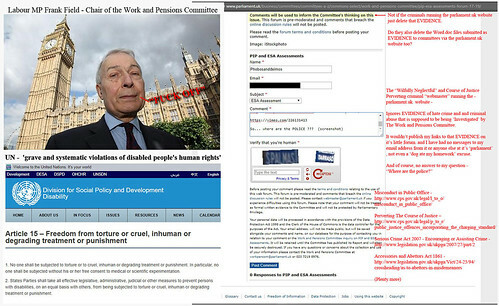 I hate the Tories with a passion and would not put it past them but as you have voted then a link would be available? Let’s hope it is not more division spreading from somewhere. It also surprises me how no major outlets have picked up on it? Yeah I would like a verifiable source for this too please. It wouldn’t be hard to adjust or create a screenshot to add this question and obvs I don’t want to share if it isn’t authentic. FAKE..YOUGOVS URL IS .CO.UK..CHECK BEFORE YOU BLURB! Is this BRITAIN FIRST SITE????? Sadly YouGov will ask any question people want them to ask as long as the fee for doing so is paid… It doesn’t justify it, but that is worth keeping in mind. This is very unlikely to fuel government policy at this point in time. And yes, we should all totally vote against it if we can! I took the screenshot myself. Feel free to use it where you like. It looks like this is a private poll, I’ve been all over YouGov looking for it. (With any luck I am wrong and someone else will post the info). I got the poll on email. I’m happy to forward. And I took the screenshot myself and dont mind my email showing. I’m going to repost this to my social media, but please note there’s a clear text email address obviously visible in the other browser tab. I’ll obscure it before reposting, you might want to edit the image likewise. Does anybody know who commissioned the poll? Presumably it’s being commissioned by a newspaper. I can’t think of anyone else who would want to know the answer and would be able to afford the research. The Times use YouGov quite a lot so it could be them. I expect we’ll see an article about it in the next few days if it is. actual yougov site is a .co.uk suffix, not a .com. Please provide provenance. The poll was emailed to me and I took the screenshot myself. I’m happy to forward the email if you provide an email address- though not sure the link will work if you’re not signed up to take surveys. Also: the screenshot is of a YouGov.com site, but the actual YouGov has a .co.uk suffix. Is there a reason for this? YouGov will show as YoGov.co.uk in the UK, but Wikipedia gives a .com address for their website. And since they operate in Europe, North America, the Middle East and Asia-Pacific I’d imagine they have a few domains. I went to the URL at the screenshot, which redirected me to a YouGov.co.uk account logon screen. Since I don’t much want to join them I didn’t go any further. However, I’m pretty sure it’s a genuine YouGov page in the screenshot. However, that doesn’t say anything about who commissioned the research or for what purpose. As someone else said, it may be a newspaper. All of those murdering, torturing, Vulnerable Adult Abusing, Hate Criminal, Corrupt, Nonce, Public Sector Fraudster Vermin PAY NO TAX . All the cash they sponge IS tax. This is really depressing. Could someone please tell *how one can respond to the survey* (if anyone can respond to it, i.e. if respondants are not restricted). For so doing – responding in the right way – would be something at least. That said, following the money and thinking about who commissioned it might be worthwhile. It was sent to me on email. You have to sign up to receive their surveys. You are aware of the whole fakebook / cambridge analytica thing? It all stinks of that. and it’s all just psychology BS. No better than Astrology. Did you actually find a link to the question on YouGov UK’s site? Only Yougov members get these surveys. I get Yougov surveys by email and took the screenshot myself. Only Yougov members get these surveys. As for the rest of my content, I link back to EVERY source in the first line of EVERY post. Don’t you just hate (probably fake) Trolls, desperate to muddy the water. Which bit of “SCREENSHOT” do you not understand? You mean – isn’t REPORTED anywhere else. It’s an EMAIL SURVEY… NOT on YOUGOV’S public websites. Which bit of that did you not understand? Which bit of that did you not understand? You do that by yourself. If this is a democracy then – Where Are The Police – ? and candidates have mandatory tests for psychopathy, and their understanding of Fraud, Misconduct in Public Office, Human Rights and … how to tell the Police to start doing their f*****g jobs. Can I vote for Jeremy Corbyn’s South Wales Police and Crime Commissioner Alun Michael to get stuffed in Prison? 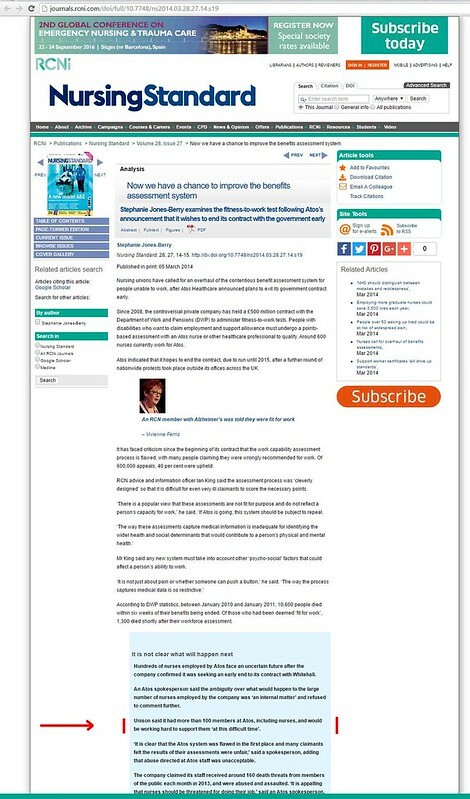 “YouGov are asking whether benefit claimants should be allowed to vote” | Same Difference | COMRADE BOYCIE: VIVA THE ANTI-tORY / BIG BROTHER REVOLUTION!